For almost a decade, RavenPack Symposiums have consistently provided data-driven finance professionals with riveting forward-looking content, new research and insights, and practical use cases from industry leaders and top scholars. This edition brings together top experts in data monetization, privacy, and protection to explore how firms can leverage data to not only generate alpha, but to respond to new regulatory requirements, and calls for more socially responsible investment practices around the use of alternative data. 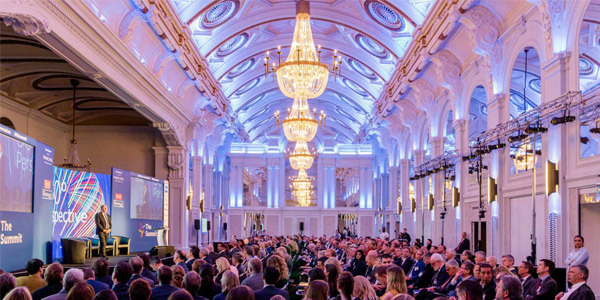 The RavenPack Symposium event is free to attend (by invitation only) and will take place in London on May 23, 2019. 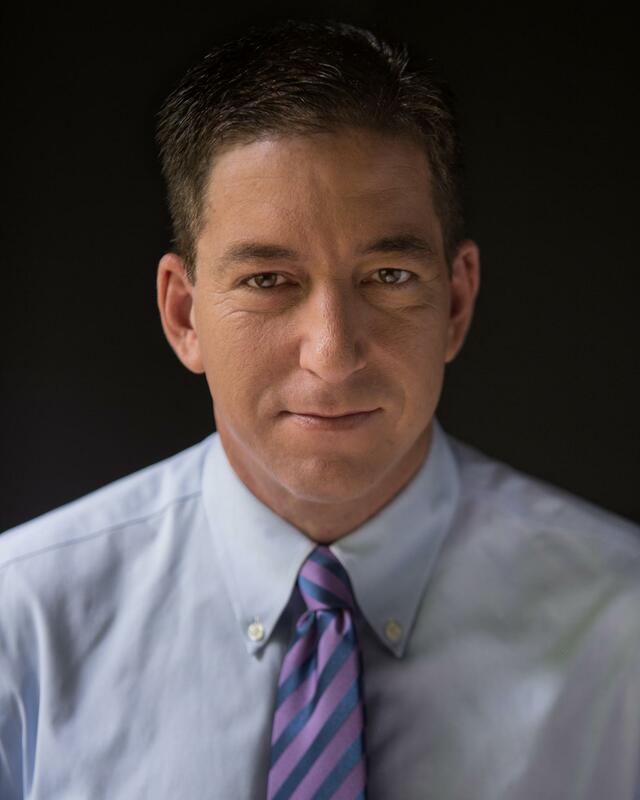 Glenn Greenwald is a Pulitzer-Prize winning journalist, and the author of several bestsellers including “No Place to Hide,” based on the U.S. surveillance state and his experiences reporting on the Edward Snowden documents around the world. He is acclaimed as one of the 25 most influential political commentators by The Atlantic and one of America's top 10 opinion writers by Newsweek. He is a frequent guest on CNN, MSNBC, and various other television and radio outlets. Greenwald is also a former constitutional and civil rights litigator. The RavenPack Symposium brings together top experts in data protection, privacy, and monetization to explore how firms can leverage Big Data to not only generate alpha, but to respond to new regulatory requirements, and calls for more socially responsible investment practices. In the first part of the RavenPack Symposium, our speakers will touch on the importance of data protection and highlight the risks associated with data privacy, the sourcing of alternative data, data leaks and breaches, and how asset managers can mitigate those risks. Our amazing lineup of speakers will discuss these and many other issues including how new data protection and privacy laws and regulation are bound to disrupt the financial industry and our society as a whole. Part II of our symposium explores the Big Data landscape and how fund managers can acquire and use data for profit. We bring together leading data scientists, researchers, and practitioners to share their latest studies on the use of big data to drive investment decisions and inform action. Expect presentations demonstrating how big data (particularly unstructured information from news articles, regulatory filings, and research reports) help generate alpha by enhancing the investment process. Robert joined Unigestion while maintaining his role at Imperial College Business School, where he is Associate Professor of Finance. Robert is also a research fellow at the Centre for Economic Policy Research (CEPR) and an associate member of the Oxford-Man Institute of Quantitative Finance at Oxford University. Robert is on the editorial board of the Journal of Alternative Investments and a member of AIMA’s research committee. Dr Chris Longworth is a senior scientist at Cantab Capital Partners, which became part of GAM Systematic in October 2016. Since joining Cantab in 2010, Chris's focus has been on the development and improvement of Cantab's investment strategies. Chris leads Cantab’s big data and machine learning research team and is also the lead scientist for the GAM Systematic Discovery fund, which focuses on trading exotic or less liquid markets. Graham started his career in the computer security industry as a programmer at British anti-virus firm S&S International where he wrote the first Windows version of Dr Solomon's Anti-Virus Toolkit. In 2011, he was honored to be inducted into the Infosecurity Europe Hall of Fame. Graham has made thousands of international media appearances on TV, radio and print, including NPR, BBC, Sky, Fox, CNN, Mashable, and TechCrunch, as well as written columns on computer security for publications such as The Telegraph, IT Week, Computer Weekly, VNUNet and the BBC College of Journalism. Charles-Albert is a leading expert in market microstructure and optimal trading. He provided research and expertise on this topic to investors and intermediaries, and is often heard by regulators and policy-makers like the European Commission, the French Senate, and the UK Foresight Committee. Charles-Albert received the 2016 Best Paper Award in Finance from Europlace Institute for Finance (EIF) and published more than fifty academic papers and book chapters. Roland is a Executive Director at Morgan Stanley’s Investment Banking Division covering FinTech across EMEA and South East Asia. In his role, Roland is advising clients on corporate finance related matters, including private capital raisings, IPOs, equity and debt offerings, and M&A. Tony Guida works together with the equity Portfolio Managers to develop systematic investment strategies. Tony’s work is focused primarily on extracting market inefficiencies from different sources from traditional fundamentals, market signals, alternative data, and machine learning. His expertise is in mid to low frequency in equities. Ricardo is an enterprise evangelist at Amazon Web Services; he works with enterprise executives and technology leaders to help them adopt the cloud and transform their businesses. He has over twenty years of experience leading emerging technology and innovation programmes and has been working with cloud technologies since 2008. He is passionate about cloud, innovation and open source and is excited about how cloud accelerates and amplifies customers’ ability to innovate. Salman Baig, PhD, is a Portfolio Manager and works across all of Unigestion’s cross-asset portfolios, with a primary focus on its flagship Cross-Asset Navigator strategy. Salman holds a Bachelor in Mathematics and a Master in Finance both from Princeton University and a PhD in Mathematics from the University of Texas. Olga is responsible for proactive sourcing of traditional and alternative data sets, building strategic data partnerships and managing full cycle of data acquisition. Olga joined Quantstellation in 2015 from ITI Group where she was head of a multi-manager hedge fund platform focusing on quantitative investment strategies. Before that she held a variety of senior roles in the alternative investments industry including Head of Operations and Investor Relations at Da Vinci Capital. Frederic Desobry is with Systematica Investments where he leads the quantitative equity research effort for market neutral and alternative risk premia products. He has spent over a decade researching and trading global markets through the systematic lens and has previously worked at BlueCrest Capital Management amongst others. Matthew Bergerman joined the DTCC Data Products team in July of 2015 as a Director charged with the development of solutions in the Equity, Fixed Income, and Reference Data space. He has worked in the Financial Information industry for over 20 years. He has worked on the vendor side previously in the production of data and the development of data applications at Thomson Financial and Pershing. Andreas Zagos is founder and management Partner of the Bonn based InTraCoM Group (Germany). He was participating in the first standard for patent valuation and is doing research in patent valuation for more than 24 years. He is guest professor at the Technical University of Cluj-Napoca in the field of innovation management and internationally recognized patent valuation expert. Jason is responsible for the design and implementation of the RavenPack software platform. He is a hands-on technology leader, with a consistent record of delivering break-through products. A Silicon Valley start-up veteran with 20 years of professional experience, Jason combines technical know-how with an understanding of business needs to turn vision into reality. Peter is a pioneer in the field of applied news analytics, bringing alternative data to banks and hedge funds. He has more than 15 years of experience in quantitative finance with companies such as Standard & Poor's, Credit Suisse First Boston, and Saxo Bank. A cocktail reception will be held at the conference venue from 5:00 PM. The closest tube stations are Covent Garden (Piccadilly line) and Holborn on the Central line, both within easy walking distance. 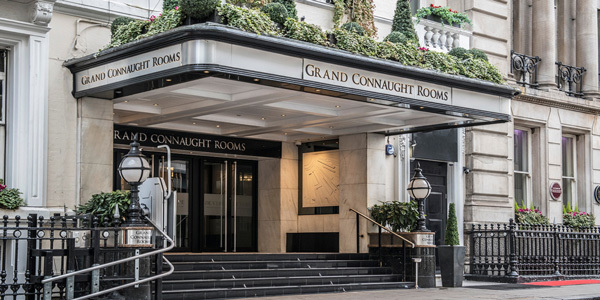 The De Vere Grand Connaught Rooms have hosted some of the world‘s leading politicians, royalty and celebrities with its grand Georgian architecture and art-deco interiors. Interested in sponsoring the event? We can work on bespoke packages, from exhibition booth to workshop or panel sponsorship. Don't miss the opportunity to have your brand exposed to 300+ guests, 85% from the buy-side. Email events@ravenpack.com to know more. Glad to see @RavenPack symposium free of fluff. Lots of cameras aimed at screens to capture info.